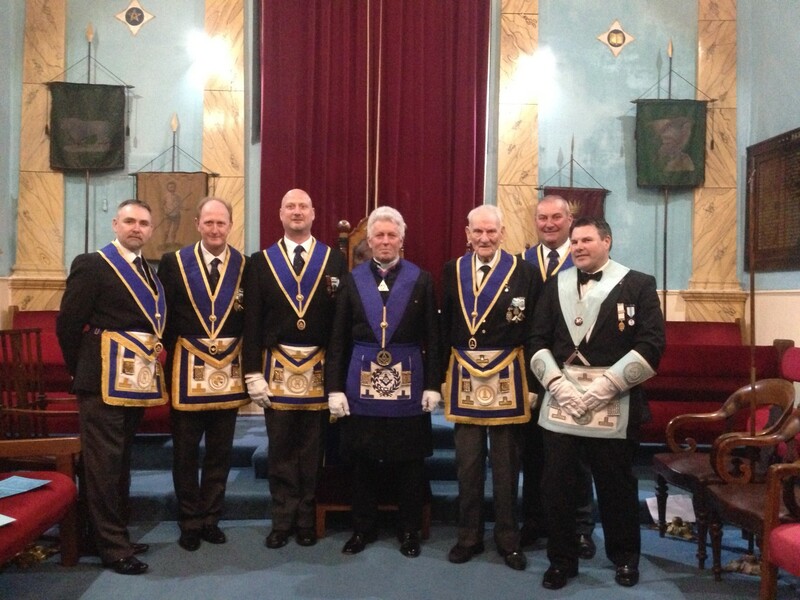 Last evening at the St Johns Lodge in Abergavenny several Jasper Tudor Brethren attended to support the Lodge and the Worshipful Master Ted Williams (pictured right). Above are most of those who attended. The meeting was a tremendous success with over 60 others attending W Bro. Teds first ceremony which was an initiation. It was very well presented and all officers involved can be justly proud of their endeavours.